Dubai, 21th October 2018: SOUQ.com is accepting pre-orders for the Apple iPhone XR on their website and app. Customers in the Middle East can now pre order on SOUQ.com with the shipping estimated to begin on October 26th. Customers are increasingly looking online to buy their latest gadgets and SOUQ.com strives to provide them with the latest devices at the same time that they are available globally. The pre-booking of the iPhone XR is another example of the continually growing selection on SOUQ.com and will sit alongside the already available iPhone Xs and iPhone Xs Max. The iPhone XR is Apple’s alternative to its flagship iPhone Xs and comes with an all new Liquid Retina all-screen display, more durable front glass and wireless charging. Powered by the brand-new Apple-designed A12 Bionic, customers will enjoy significantly longer battery life and performance according to Apple. 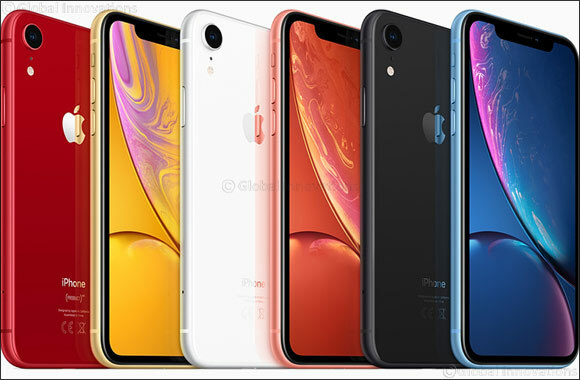 In addition to the classic white, black and red iPhones, the iPhone XR will be available on SOUQ.com in three new vibrant colours – coral, yellow and blue that will appeal to a wider audience. With three different storage variants, the 64GB model is priced at AED 3179, the 128GB model is priced at AED 3389 and the 256GB model priced at AED 3809 on SOUQ.com.